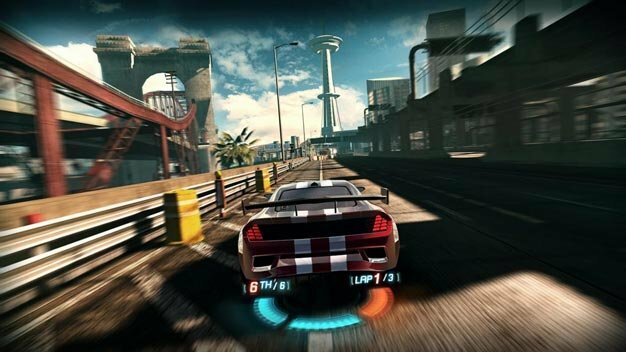 Black Rock Studios have claimed that their forthcoming racing title, Split/Second, is closer to the likes of Modern Warfare and Uncharted than it is to boring snoring old racing games. Split/Second mixes up the standard racing formula by throwing some pyrotechnically insane destruction into the mix. It looks like it could be a wonderful combination of Gran Turismo, Mario Kart and dirty great big ‘splosions. We likey. Split/Second, or Split/Second: Velocity, to quote its full, silly European name, is due out on Mar. 18 in the US and the Mar. 21 in Europe.